Moukas George - Ballas, Pelecanos & Associates L.P.C. 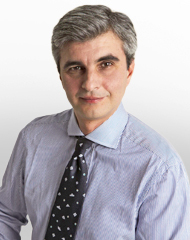 George Moukas is a Senior Associate with "Ballas Pelecanos & Associates L.P.C.". George is coordinator of the Litigation Group. He also participates in the IP, IT & CT Group, the Company, Tax & Employment Group, the Competition, Agency & Distribution Group, the Economic Law Group and the Special Sector Group. George is a graduate of the Athens University Law School, has been a member of the Athens Bar Association since 1992 and joined the firm in 1995. He is qualified to present cases to the Supreme Courts and all lower courts. An experienced litigator, George has litigated over 300 cases involving various types of infringement of IP rights (anti-counterfeit cases, cases of “pirated” software etc.) in both civil and criminal courts. He has extensive experience in all matters pertaining to IP litigation: liaison with Customs and Police authorities and implementation of anti-counterfeit customs-intervention legislation. George has advised many multinational firms on combating counterfeiting activities and on the implementation of the customs-intervention legislation. Additionally, George served as co-author in the preparation of Greece's report for Borderwatch, a global online resource for IP owners, providing country-by-country analyses of legal issues and procedures for the protection of IP rights through Customs controls. He has also participated as lecturer in a training programme for Police & Customs officials in Estonia sponsored by the EU and has contributed as co-author to the anti-counterfeiting chapter on Greece in the 2008 edition of the World Trademark Review.